Jeannette Hilma Ruikka Nilsson was born November 14, 1939 to Rueben and Florence Ruikka. They lived in New York Mills, Minnesota, where Rueben managed the local creamery. When Jeannette was 11, they moved to the Twin Cities. Jeannette graduated from North High School in 1957 and studied accounting at Concordia College in Moorhead, Minnesota. She worked as a bookkeeper and office manager until 1972 when she joined the Internal Revenue Service as one of the first women who would be trained as a criminal investigator. It was while working at the IRS that she met her husband Thomas Nilsson. Tom and Jeannette were married on February 24, 1973. Their daughter Jenny was born in July of 1974 and their son Rueben was born in July of 1976. In 1979, Tom and Jeannette moved to Wadena, Minnesota, where they purchased an office products store. They later added a Radio Shack Franchise and a Xerox copier dealership. After closing the store, Jeannette worked as the chief financial officer of Rising Phoenix in Wadena while Tom returned to school for jewelry making. Tom went to work for Jostens after finishing school and Jeannette moved back to the Twin Cities with him and worked as an accountant until she retired to care for her mother in 2001. Jeannette survived breast cancer in 2002. Tom was diagnosed with cancer in 2005 and passed away in 2007. Jeannette’s granddaughter Nora, daughter of Rueben and his wife Rachel, was born in 2008. Jeannette was a voracious reader and a knitter. She loved spending time with family and was patient and caring with older relatives, listening to their stories of times past and passing them on to younger family in turn. Her faith was an important part of her life, and she was a volunteer at her church. She had a special love for the area she grew up in and could often be found at the family cabin on Rush Lake until she developed Alzheimer’s Disease. 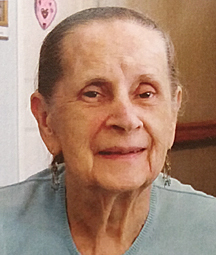 On January 11th, 2019 Jeannette passed away at Prelude Memory Care in White Bear Lake, MN at 79 years of age. She will be dearly missed by her family and friends. Jeannette is survived by her daughter Jenny (Scott Ferris) Nilsson; Rueben “Ben” (Rachel) Nilsson; brother-in-law and his wife Dennis and Fran Nilsson; granddaughter Nora Nilsson; nieces and nephews and many other relatives and friends.